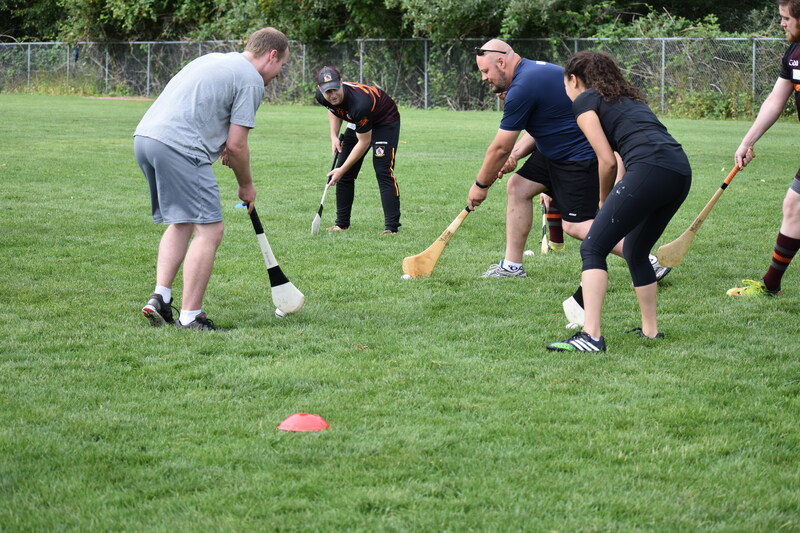 The “rookies” showed up bright and early at Morris Ford Middle School to learn how to ply their new Hurling trade. 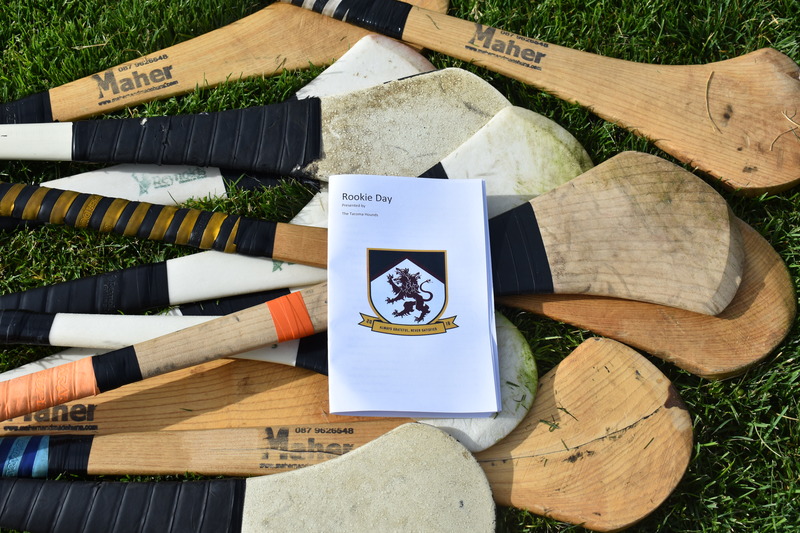 Quick introductions accompanied stick selections and an explanation of the hurley’s anatomy and functions. 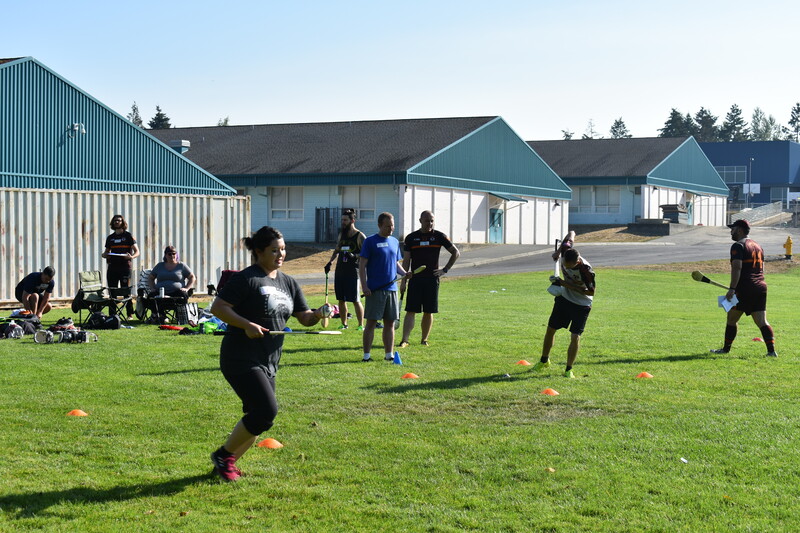 Wasting no time, the equipment was put to test with striking, lifting, soloing, ground striking, hand passing, blocking, hooking, overhead bat, and more. 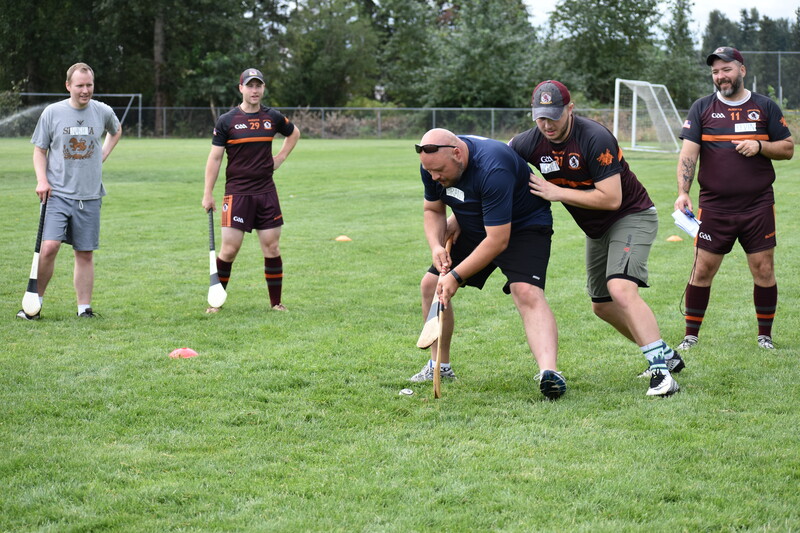 One by one, Hurling’s skills were covered in depth with demonstrations and applicable scenarios. 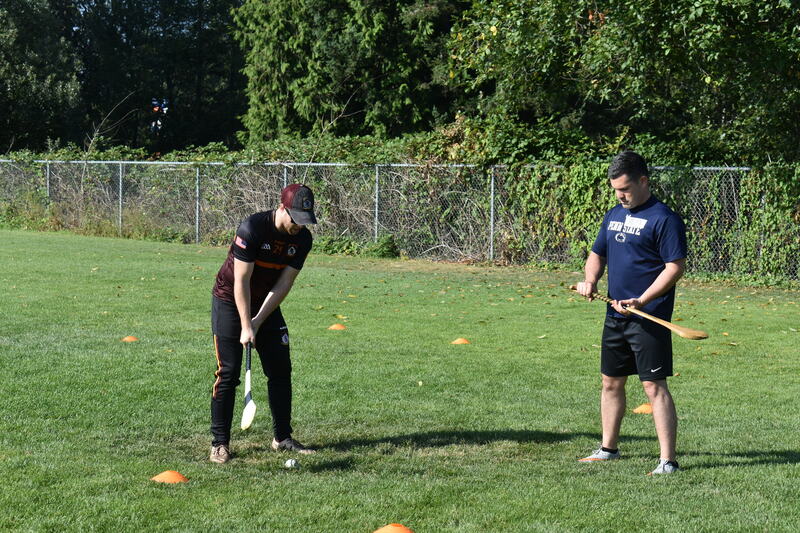 Each skill was introduced through a simple drill, designed to isolate or build upon those previously covered. 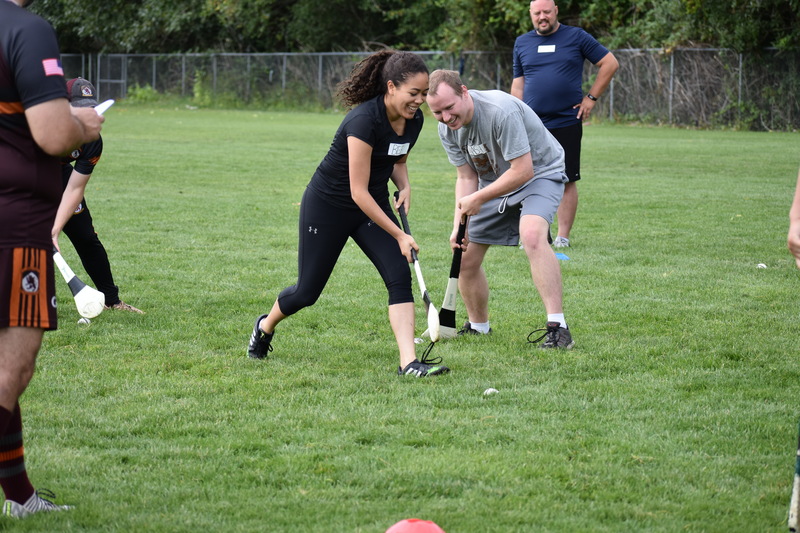 After a short water break featuring a talk ranging topics of rules, club information, match events, or governing structures, each skill was tested out in a super fun game. 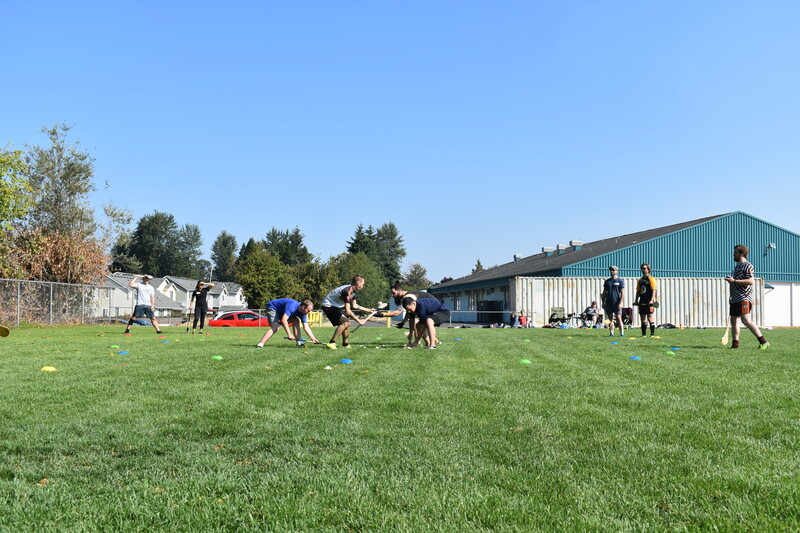 Hungry Hungry Hippos, King of the Hill, Musical Chairs, 500 and more were reinvented with their own Hurling spin to help participants test out their newly learned skill on the fly. 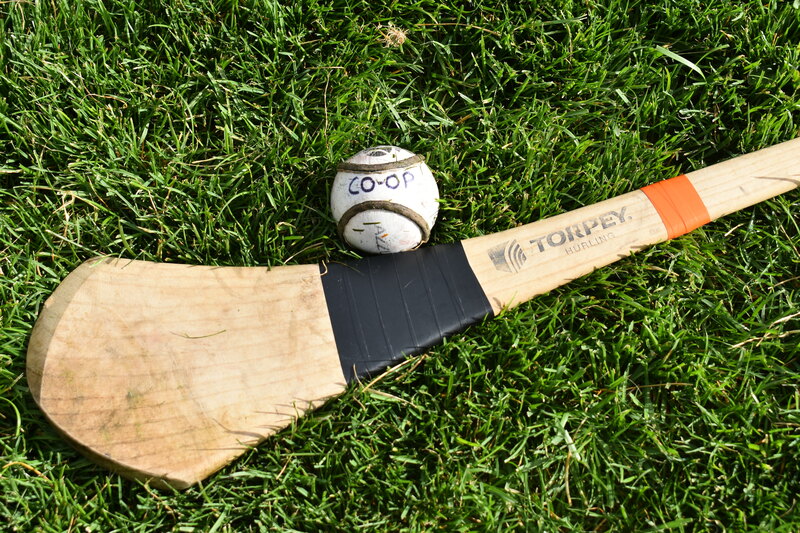 With every mad scramble for sliotars, smiles and skills soared. 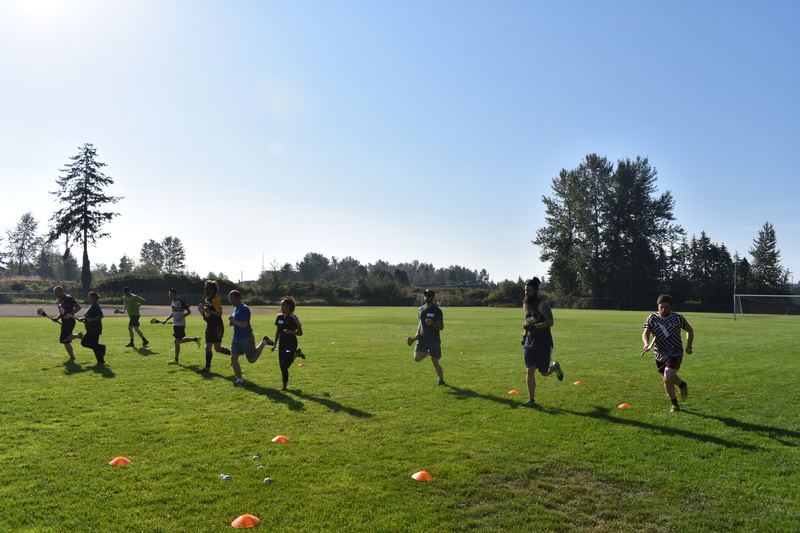 The rookies finally had the chance to put everything together in Day 4’s scrimmage, mixing in with the Tacoma Hounds and taking to the field. 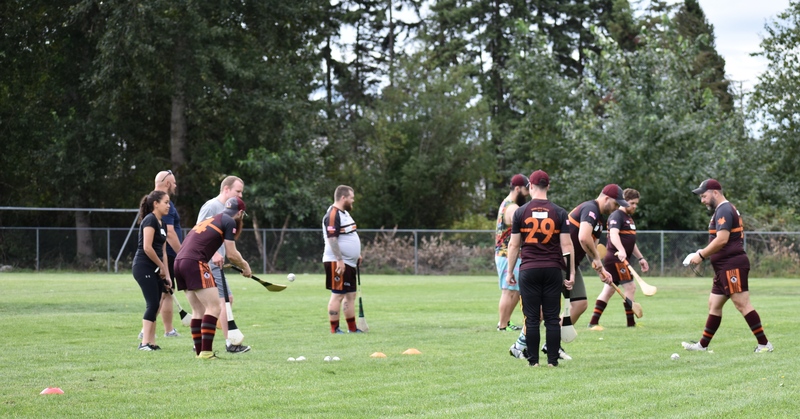 The blends of experience on each side kept the match fairly even. 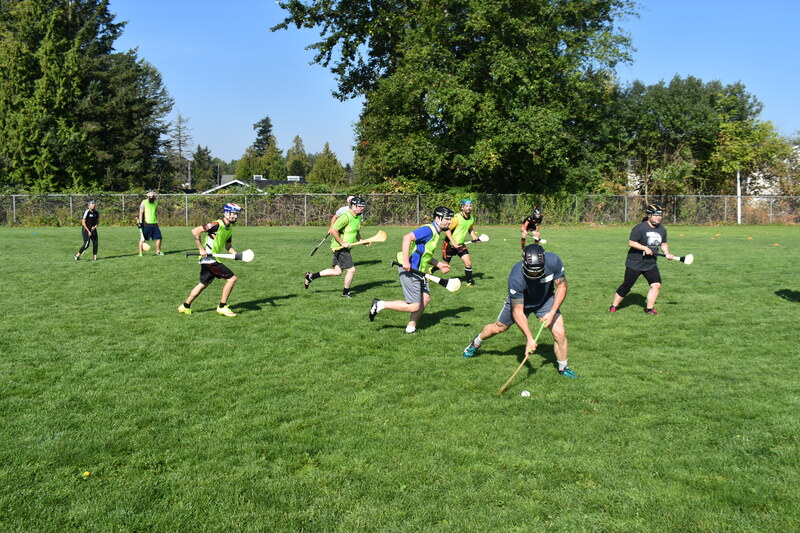 The sliotar sailed through the air as the rookies adapted to the pace and movement occurring all around them, tenaciously fighting for every opportunity in their first ever match-scenario. 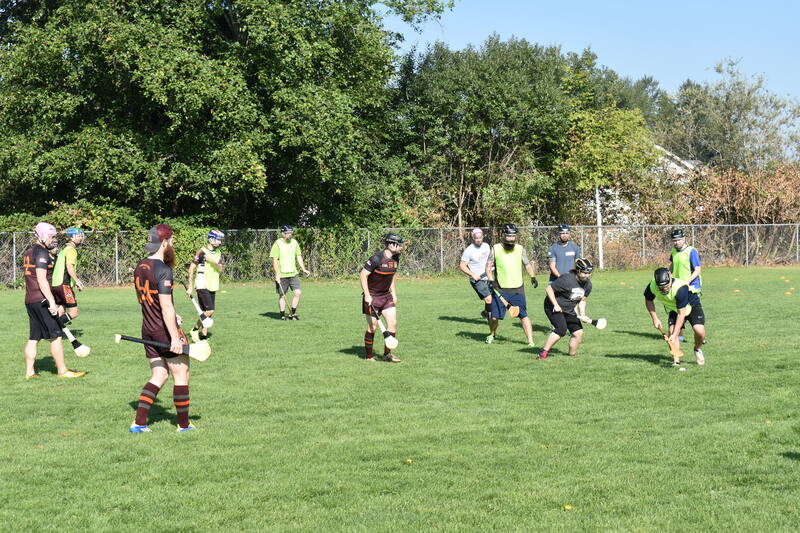 After the scrimmages conclusion, hands shook and “good game”s still hanging in the air, most everyone involved reconvened for some post-practice brunch and camaraderie. 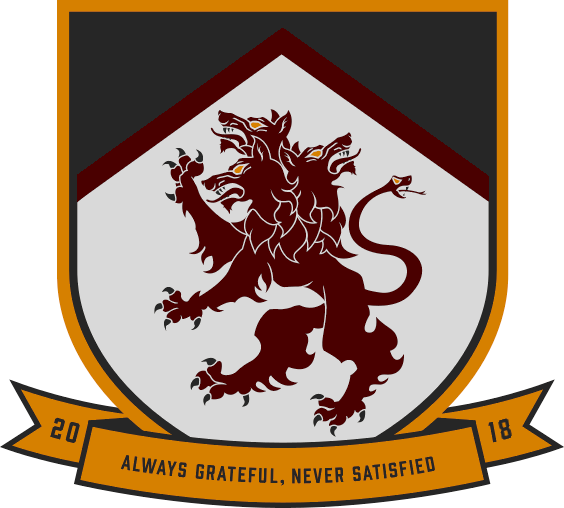 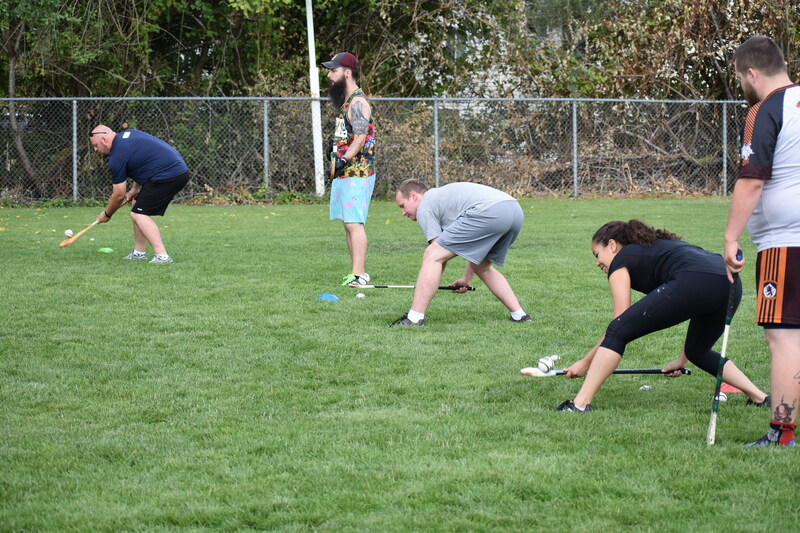 With some new regular faces and Indoor League signups, the Tacoma Hounds are proud to consider their first ever “Rookie Days” series of beginner practices a resounding success. 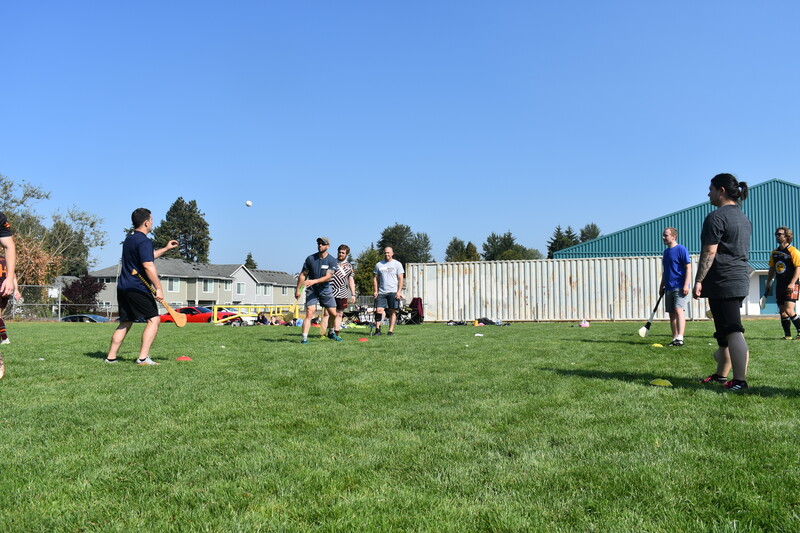 Be sure to keep a watch out for the second series of “Rookie Days” coming Spring 2019! 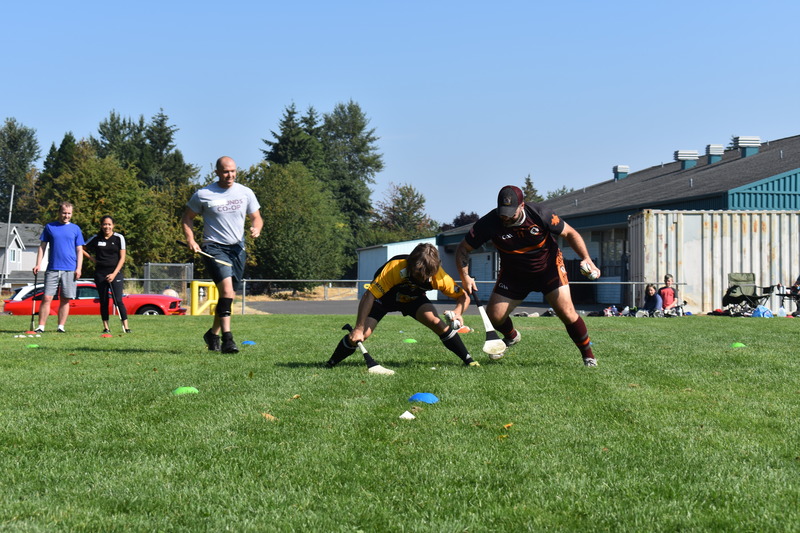 ← Tacoma Hounds Club Shop now online!